Why spend $30 on a DIY when you can buy a necklace for $15 and free shipping? The solution is that you have to be able to make a necklace for less than $15. More on that later. In the meantime, let me introduce you to my new favorite blingtopia - Shop Lately. Shop Lately has literally hundreds of jewelry pieces, most under $30 and many under $20 (mixed in with a few high-end pieces). Most of the jewelry is big and bold and on trend. Below are a few comparisons with your ever popular jewelry retailers like Anthropologie and J. Crew. 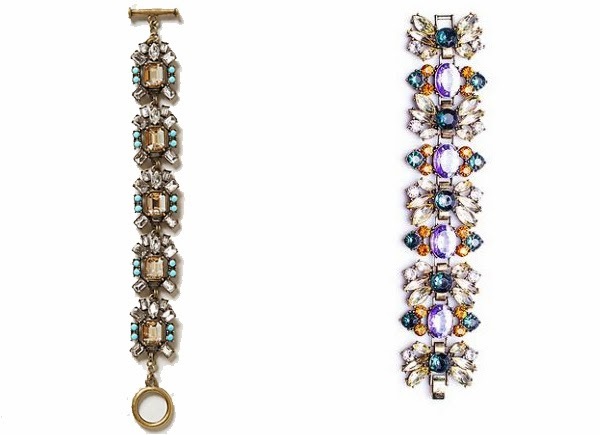 Anthropologie's Onica Crystal bracelet. Shop Lately's Manifest a Miracle bracelet for $88 less. J. Crew Crystal Color Statement necklace. 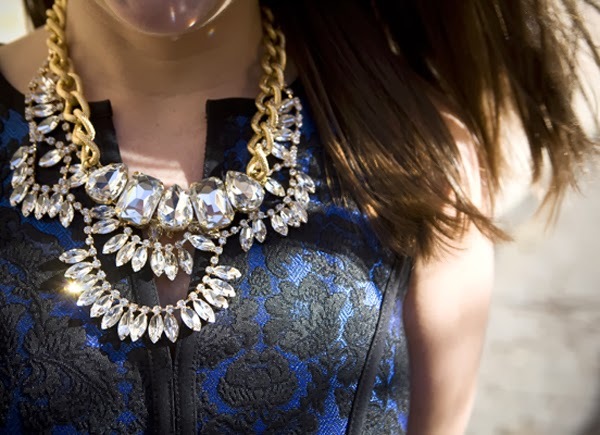 Shop Lately's Azure Breeze statement necklace for $96 less. J. Crew's Geometric Floral necklace. 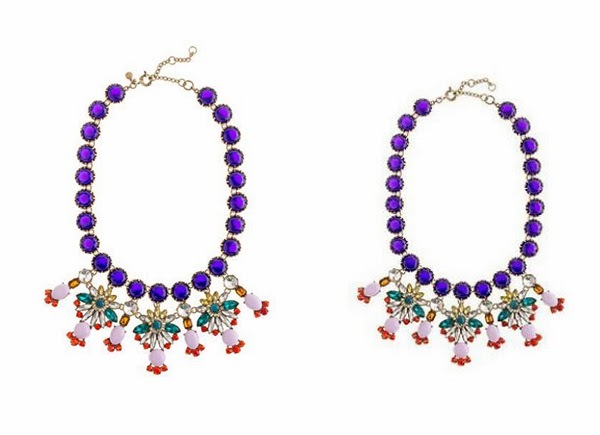 Shop Lately's Translucent Jasmine necklace for $116 less. 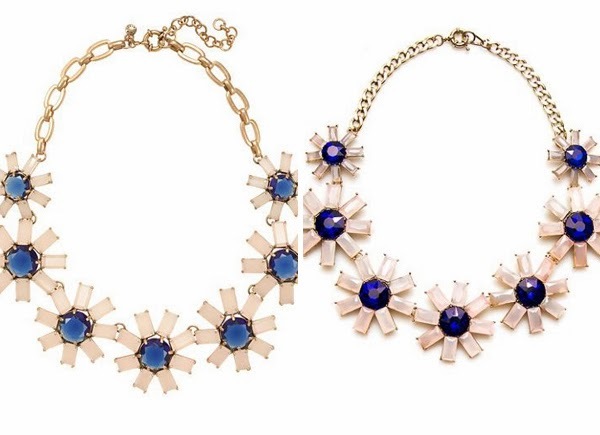 Shopbop's Petite Foret necklace. 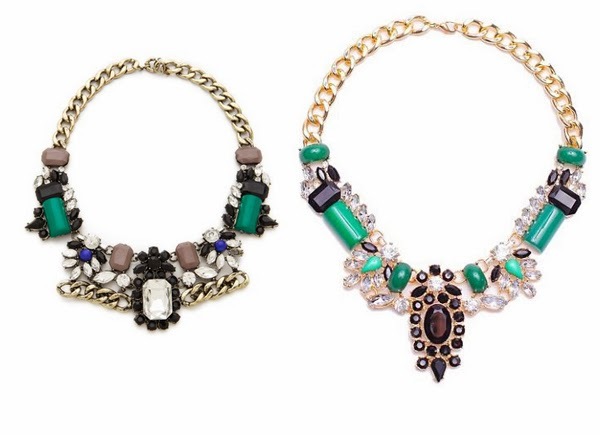 Shop Lately's Luxe Gem necklace in green for $55.50 less. J. Crew Beaded Rose necklace. 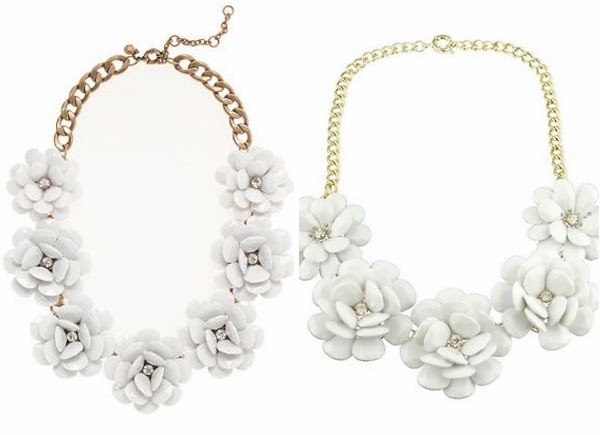 Shop Lately's White Rosette necklace for $103 less. Here's another treat. In an example of brilliantly simple marketing, Shop Lately gives you store credit for sharing on Facebook or inviting your friends to shop. (Your friends get a credit, too.) And Shop Lately has a blogger program where you receive credit for sharing your purchases on your blog. So, thanks to sharing a bargain that I would have shared anyway, I now get to buy a necklace. Or a bracelet. Like this one. So, DIYers, does it bug you to spend more to make than it does to buy? I love this post! When I reblog a jewelry DIY and it seems to have expensive components from Etsy I always go to the supply links provided and add up the cost of the DIY to see whether it can be made cheaper than the real deal. Or I think to myself can these components be switched out for cheaper supplies. There is one blogger I won't mention that keeps posting pretty but really expensive DIYs that I can't in good conscious post on my blog. Thanks for understanding. I hate spending a lot of money on craft supplies. It defeats the whole purpose. My next post will be some secret sources for truely inexpensive rhinestone components. I must add that I'd rather spend my precious free time DIYing something I can't afford in real life (avant garde and runway designer jewelry, unique art, a gorgeous sweater etc...) or something I want to personalize. But that's just me - I want to make something that I won't see at Forever21 for a few bucks when I paid $$$$ for the materials. I brought this up a while back on FB because I was getting tired of seeing unrealistic tutorials of DIY bracelets costing $40 to make! Looking forward to your next post. I did not know about Shop Lately, so I appreciate the tip. I love looking at sparkly, colorful jewelry. 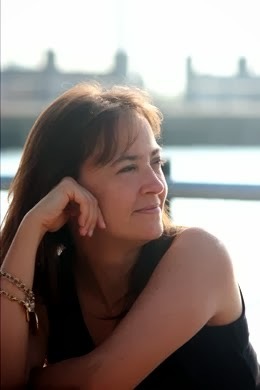 I love your blog and look forward to your next post. DIY isn't always about saving money. It can also be about creating something unique that is not available or tailored specifically to you. There needs to be more of this drive toward creativity than copy-cats. Good point. The more I DIY, the more I appreciate originality. I agree 110% with you! craft supplies can add up quickly, defeating the whole purpose of saving money by DIY. my mom always makes fun of me for how cheap I am!!! I agree with you statement about products. All the designs of the necklace and bracelets looks beautiful to purchase. Thank you so much for sharing this post.